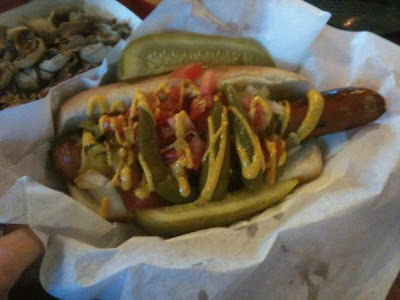 If you want to keep up with all things hot dog related, head on over to The Hot Dog Stories Facebook Page and LIKE it. When you do, you'll get a little old post on your wall every time there is new content on Hot Dog Stories or The Hot Dog Truck. You can even access my Paper.Li newspaper, Rob's Hot Dog Tales, right from the page. When you like Hot Dog Stories on Facebook, you'll never be out of the loop for nationwide hot dog related news, fun new videos, and whatever other surprises I cook up! With hot dog season upon us and National Hot Dog Month Tour on the horizon, you won't want to miss a thing! What are you waiting for? Get on over there and LIKE IT!